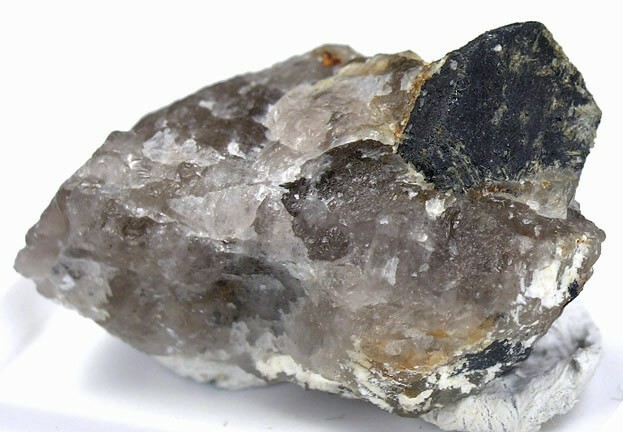 In the U.S., we are accustomed to hearing politicians (of whatever stripe) decry our country’s “dependence on foreign oil.” But politicians have only recently begun to tune in to what may turn out to be a greater, and more compromising, dependence: on foreign rare-earth minerals. “Rare earths,” as they are commonly called, describe a variety of obscure minerals essential to the production of high-tech gadgets and widgets: fiber optic devices, electric car batteries, communication systems, radars, computer disk drives, satellites. And one nation, China, currently corners the rare earth market. Photo by Rob Lavinsky, iRocks.com. Some rights reserved. It’s an inherently dicey situation. Recent stories by Paul Krugman of the New York Times (October 17) and Bloomberg News (October 20) suggest that the Chinese may be beginning to exploit their decisive advantage on this front. The possible effect of China’s mineral hegemony on global economics is pretty obvious. But there are also potential consequences in the arena of national security. As a GAO report from April (now available on the knowledgemosaic platform) observes, “the use of rare earth materials is widespread in defense systems,” a crucial element in the production of devices like precision-guided munitions, spy radars, and tanks. That is to say, it’s not inconceivable that China could be in a position to throttle the production and maintenance of the U.S. military machine. So the Department of Defense is beginning to pay attention to the rare earth market. So are our elected officials: For a look at what’s being debated in Washington, visit our Federal Fundamentals page and search on text “rare earth” under Bills & Legislation: Current Congress. As we might expect, many businesses discuss the volatile rare earth market in the context of risk. Many others, however, see in the situation a rare opportunity. Consider, for example, an entity called Market Vectors ETF Trust, which happened to file a 424B just today. This mutual fund is comprised primarily of securities in a single industry–and we’ll bet you can guess which one. In a market like this, who needs diversification? ← You Don’t Need a Weatherman . . .